Democrats are trying to regain control of both chambers of Congress for the first time since the 2010 election, and money matters, said Michael Malbin, executive director of the Campaign Finance Institute, a Washington watchdog group. The 2016 presidential race illustrated how there’s more involved than bulging coffers, notably a candidate and a message. Former Florida Gov. Jeb Bush and a super PAC supporting his candidacy raised more than $120 million for his presidential bid, but Bush got nowhere and dropped out in February. You can be pretty sure that, except for extraordinary circumstances, if you don’t have money, you will lose. Democrats today are buoyed by what they see as a prime opportunity to take back the House. As of Sept. 30, a record number of Democratic challengers —some 391 — had raised a not insignificant $5,000 each. Of those 391, 145 have already raised at least $100,000. Democrats need a gain of at least 24 House seats to take control of the chamber. There are about 60 Republican-held seats that appear competitive at this point, including several in California, Florida, North Carolina, Texas and Kansas. The 2018 Senate map is more of a challenge for Democrats. Republicans, who want to expand their narrow majority, are defending nine seats, compared to 25 for Democrats. Ten Senate Democrats are attempting to win in states Trump won, including top Republican targets Sens. Claire McCaskill of Missouri, Joe Donnelly of Indiana and Tammy Baldwin of Wisconsin. As important as the money candidates raise is cash from the parties and outside groups. Relatively new major players are the four super PACS aligned with top congressional leaders which can ask for and receive unlimited contributions. They also have the ability to inject huge amounts of late money into close races. “These things were barely getting going (in 2010) but in the last election they were the biggest players on the block,” Malbin said. Outside spending has increased since the Supreme Court found in the 2010 Citizens United decision that political spending is protected under the First Amendment. That decision kicked open the door for corporations and unions to spend unlimited amounts. The Congressional Leadership Fund, aligned with House Speaker Paul Ryan, plans to raise and spend $100 million to protect the GOP House majority. 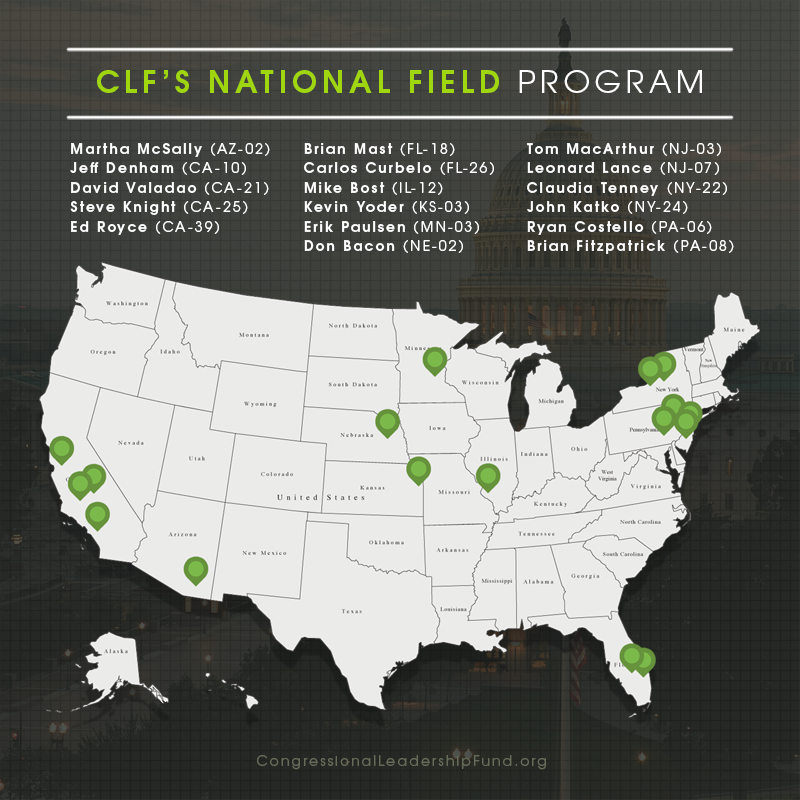 It’s already opened 20 field offices in what it considers the most competitive districts across the country, including four in California, two in Texas and two in Florida. It plans to open another 10 in the next few months. His counterpart, the House Majority PAC, which is focused on helping Democrats win House seats, expects to exceed the $56 million it raised in 2014. “The day to day engagement from people who haven't participated before has just expanded exponentially,” said executive director Charlie Kelly. He noted that a number of House challengers have already out-raised the incumbents, arguing that it "speaks to the challenges (Republicans) face." Priorities USA, a super PAC created to help elect President Barack Obama, will assist in the off-year election for the first time in its history. Its goal is to spend $50 million in digital advertising in what Priorities chair Guy Cecil said is an “unprecedented level” for Democrats. What could also boost spending is the internal wars in both parties: Ex-White House chief strategist Steve Bannon has signaled his intent to wage a “season of war” on the Republican establishment. A prominent pro-Trump super PAC with ties to Bannon has already endorsed in the Wisconsin and Arizona GOP Senate primaries. He could find competition for dollars from the Trump-affiliated America First Action Super PAC, which Politico says plans to spend $100 million to promote the GOP efforts at a tax overhaul as well as elect pro-Trump Republicans. Among Democrats, Sen. Dianne Feinstein, D-Calif., is facing a primary challenge against California Democratic state Senate President Kevin de León. Progressive groups are also expected to be players in House and Senate races after raising considerable sums this year for House candidates running in red-tinged districts. Yet congressional Republicans could falter if they’re unable to deliver on campaign promises. Major donors, including those affiliated with the billionaire industrialist Koch brothers, are warning that failing to pass the tax overhaul could dampen enthusiasm for giving. “Republicans will pay a heavy price in the midterm elections,” if they can’t enact tax cuts, Chris Wright, a Koch donor from Denver, told reporters at a recent Koch seminar. “People double down on success. They don’t double down on failure,” he said. An array of Koch-affiliated groups plans to spend up to $400 million on the midterms, but could shift resources to other races, including those at the state level if promises aren’t kept, said James Davis, a spokesman for Freedom Partners, a Koch group.